Nations across Africa are investing heavily to enhance their border security capabilities in an effort to effectively deter illicit cross border activity. For example: The launch of the Border Management Authority (BMA) in South Africa proved the significance of joint operations to maximise border security and improve the resilience of border authorities. 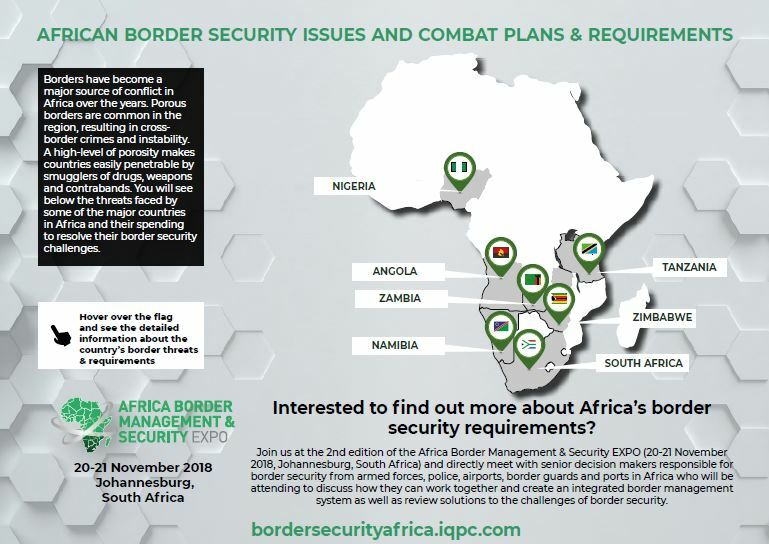 The report has been developed in conjunction with the Africa Border Management & Security Expo taking place in Johannesburg, South Africa from 20-21 November.